Jan Druckenmiller was born and raised in Mandan, North Dakota and ventured to the neighboring state of Montana to attend college at Montana State University. She graduated with a Bachelor of Science degree in Family Life Sciences and Child Development in 1974. During the last semester of college, she began dating Craig Druckenmiller who happened to be in the same curriculum and classes. Craig and Jan were married in August after completing their final needed credits during summer school. They moved away briefly to Lincoln, Nebraska after graduation but soon returned to Bozeman as they missed the mountains. In 1975, they started Pooh Corner Child Care which later became Southwood Child and Family Education Center. Wanting to further her education and be better equipped for the work she was doing, Jan earned a Master's Degree in Child Care Administration in 1980. After 22 years of growing and administrating the early childhood program, Craig and Jan turned their hearts towards a more needy population of the world's children - those without families. They founded The Sacred Portion Children's Outreach in 1998, a non-profit ministry to orphaned and abandoned children. They began traveling to the Philippines, becoming involved with several different orphanages there. Jan was able to continue using her early childhood background in developing onsite preschool programs at these orphanages and also became involved in the administration. She continues to marvel at the way that God responded to the desires of her heart and provided an opportunity for her to use her skills in an orphanage environment. In addition to orphanage work overseas, Jan has become very involved in adoption work on the home front. The Sacred Portion Children's Outreach became licensed as a child placing agency with the state of Montana in 2006 and was granted Hague accreditation in 2012. Although not a social worker, Jan has learned lots regarding the world of adoption, including the importance of providing post adoption support to families. Jan's work on behalf of orphans has been all consuming at both a professional and personal level. She is mother to one biological son and five adopted daughters, bringing a wealth of first-hand experience to what she does. 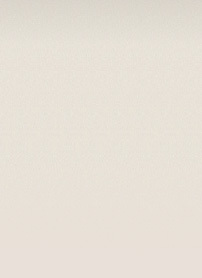 Lynne was born in Oxnard, California and raised near Santa Paula, California. She was the daughter of a strawberry and citrus grower. She loves being in the outdoors, gardening, fishing, camping, cross-country skiing and playing with her dog. Lynne earned her Bachelor of Science degree in Psychology and Human Development from California Polytechnic State University, San Luis Obispo in 1996. She later was accepted to graduate school at California State University, Sacramento. In May of 1998 she received her Master's Degree in Social Work. In September of 1998, Lynne worked for Sacramento County's Department of Health & Human Services in Child Protective Service, Adoptions. There she found homes for children who could not be returned to their biological parents. Later, she was trained to do adoptive home studies for families hoping to adopt from the program. It was an intense work environment and she learned so much from "seasoned" social workers. While in Sacramento, Lynne met her husband Dan and was married in 2000. Lynne worked for DHHS for 6 years until her husband Dan received a job offer in Bozeman. In 2005 Lynne's pastor told her about a program that worked with older orphans from orphanages overseas and he suggested that she should contact Craig and Jan Druckenmiller. A year later Lynne began contracting with The Sacred Portion Children's Outreach to provide social work services in conjunction with the organization's summer hosting program for older orphans. Lynne also began doing the home studies for families wanting to move forward with a plan for adoption at the conclusion of the hosting program. 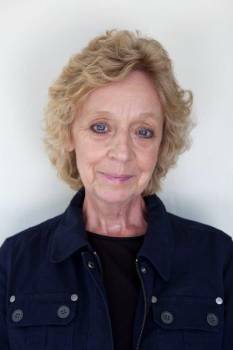 Lynne's long term goal was to become a Licensed Clinical Social Worker (LCSW). While working with the Summer of Hope, families she was supervised for 3000 hours by a licensed clinical social worker. Later in 2013 Lynne sat for her licensing exam and passed! Looking back, Lynne knows that God was always there, guiding her through some rough patches and the good times, to bring her to HopeFull Connections Adoption Services for this time. Lynne says it is amazing to know that He cares so much for us! She loves working for SPCO and HopeFull Connections because it is staffed by like-minded people who seek the will of God in what they say and do. How great it is to know that your work is covered in prayer and close to the heart of God. Through training and life experience she has received so much satisfaction from helping children who have suffered grief, loss, and trauma to be placed in loving homes that will be used to be a part of their healing. 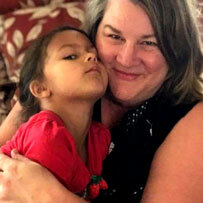 Lynne also enjoys getting to know the adoptive families and being a part of equipping them to help their children heal. Born and raised in Malta, Montana. Lorene has known since high school that she wanted to pursue a career that helped people in some way. However, if you had asked her back then, she never would have predicted that it would be in the adoption field! Lorene graduated from MSU Northern with a degree in Business. Since that time, she worked in several different industries, including retail, insurance, social services, and banking. It was not until after a chance meeting with Jan Druckenmiller in 2000 that her husband, Ken, and she began to think about adoption. You might say that it all started with an invitation to an adoptive families picnic! From there, Ken and Lorene embarked on a journey of a domestic, newborn adoption while at the same time she began to volunteer with SPCO. Almost 2 years later, at the same time SPCO was planning to bring its first group of children to the US for a summer hosting program, Ken and Lorene were able to bring home a 4-year-old daughter, Galina, who was originally from Russia! It's been almost 14 years since that chance meeting and, in that time, she has been honored to serve as volunteer, board member, Administrative Assistant, and now Adoption Program Assistant where she now gets to work even more closely with adoptive families. Lorene has learned much about the beauty and heartache of the world of adoption and continues to learn more every day. What a blessed journey it has been and what a joy to see the Lord grow this ministry! She says she is incredibly blessed to be involved in helping children find forever families and getting to know and work with those amazing families, many of whom have become life-long friends. Brandi was born in Colorado and raised in a small rural community in Alabama. Her parents, three sisters and niece still reside in Alabama where they raise alpacas. Brandi enjoys being outside, cooking, college football, coffee and spending time with her pets. Brandi earned her Bachelor of Science degree in Social Work from Jacksonville State University in 2014. She is currently pursuing her Master's degree in Social Work from Arizona State University online; her anticipated graduation date in August 2019. From there Brandi hopes to pursue her clinical social work license in the state of Montana. Brandi has had previous experience in adoption and mental health; although she enjoyed both settings her heart is for adoptions. Brandi is thankful for each learning opportunity that the Lord has placed in her life. She is especially thankful for being led to this opportunity to serve in the state of Montana in a capacity where she can also share her faith with like-minded people. Brandi's prayer is that God will continue to lead and guide her along the way and to allow her to continue serving families and orphans. Gail Heaton was born and raised in Fort Smith, Arkansas and lived in the south until a 1999 move to beautiful Montana, where she remains a proud resident. She loves reading research books in her leisure time, as well as hiking around Missoula with her husband as he photographs Montana's beauty, playing with her granddaughter, and enjoying the wonderful life God has given her with family and friends. She has seven children, now all adults. She graduated from Tulsa University in 1987 with a Bachelor Degree of Arts in Communication with an emphasis in organizational cultures and minor in psychology. Since a young child, Gail has wanted to pursue child psychology professionally, but life took her in a different direction. 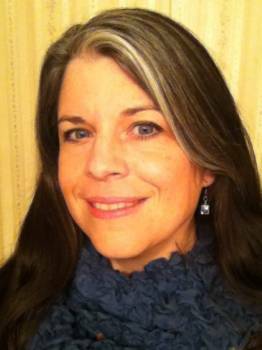 She has worked as a corporate trainer, a paralegal in family law, 25 years as a home educator, and a homeschool support resource specialist. 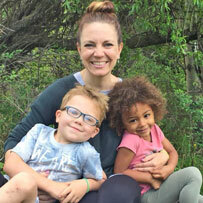 Her journey into the adoption field began when their family decided to adopt twin boys, age 6, from Russia, in 2005, through Sacred Portion's summer hosting program. As part of her pre-adoption training, she learned about how early adverse experiences in childhood can have long-lasting impacts on later development, so she trained in this area to ensure their sons would have supports in their lives as they developed and grew. This led to becoming professionally trained as a Circle of Security Parenting facilitator and a Trust-Based Relational Intervention (TBRI) practitioner. 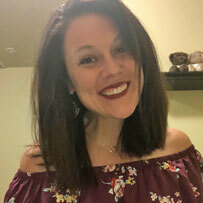 In August of 2018 she earned her Master's degree in Family Science from Concordia University, St. Paul, a dream of hers to bring more training and education to the ministry she founded, The Connecting Space, which supports foster and adoptive parents. 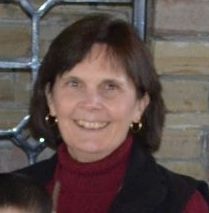 Her greatest professional desire is to bring the message of the Gospel, through the biblical scriptures, into the latest neuroscience research on early trauma and loss in children, in order to support families to honor God as they create positive and lasting connections to each other, and experience His healing power. Working with SPCO now is a beautiful 'coming home' for her as she uses the training and experiences she first gained to help her sons and she now brings that same hope to other families just like hers. Although raised in Sheridan, WY, Corina and her husband, John, have called Bozeman home since 2000. She graduated from Montana State University with a Bachelors in Psychology in 2005. After a few years in Bozeman they couldn't imagine living anywhere else and made this home. Corina has always had a heart for adoption and knew early on that she not only wanted to adopt, but desired to work in some way with the adoption community. Corina has always firmly believed that God builds families very specifically and when they were diagnosed with infertility, it was clear their route to a family would be adoption. Corina has a great deal of adoption within her family of origin including several siblings, nieces and nephews so it was an easy decision. They welcomed their son through domestic adoption in 2012 and their daughter in 2014. Corina will still tell you that one of the best parts of the process was, Sacred Portion Children's Outreach completing their home studies! Corina spent the last six years as a stay at home mom and loved every minute of it. She loved the freedom to travel with her kids and introduce them to new experiences like hiking and skiing. She works closely with her church, volunteers with a community support non-profit, and is on the board of a non-profit that provides post adoption support to families. In 2018 she felt God urging her back to work but knew that it would need to be something she felt meaningful. What better field than adoption!